Chris Lewis joins team GB for world championship trip. 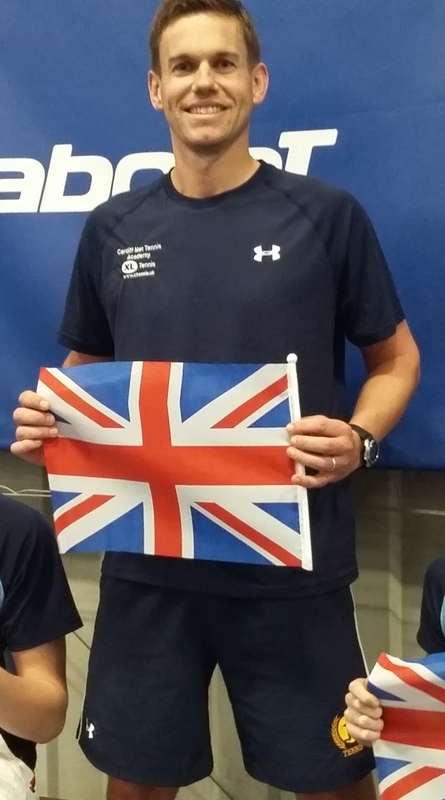 Cardiff-based Chris Lewis is heading to South Africa as part of the Great Britain over-35 team in the International Tennis Federation (ITF) Young Seniors World Team Championships. Lewis, who is head performance coach at Cardiff Metropolitan University in association with XL Tennis, and is originally from Neath, was selected on the basis of his performances at county events, team tennis finals and National Premier League Finals. As a first-year veteran, eligible because he turns 35 this year, he brings some ‘young blood’ into the team, which finished third last year. “It was a bit of a surprise to get the call,” he admitted. “Although I’ve played for Wales many times, this will be my Great Britain debut. “I was a bit concerned at the time because I was suffering from a neck injury, but that has cleared up, and I’m very optimistic about it. The tournament in Cape Town runs from Sunday 19 March to Friday 24 March and involves 86 four-man teams from 26 countries. “Being selected for Great Britain is a huge honour for any player, and Chris deserves this call-up after some excellent performances in various competitions,” said Tennis Wales chief executive, Peter Drew. Welsh players have been making an impact for Team GB lately, notably with James Story (Cardiff Met) helping GB 16U boys to victory in the Tennis Europe Winter Cup, and Morgan Cross (Wrexham Tennis Centre) helping GB 16U girls to the final of the same competition.